As president and chief executive officer of Blue Cross Blue Shield of Arizona (BCBSAZ), Rich Boals provides his strategic vision and expertise to the state’s leading health insurer. He chooses to be aligned with Arizona organizations that focus on youth and education, health, wellness and human services, economic and civic development, and arts and culture. Rich is on the board of directors for Greater Phoenix Leadership, the acclaimed Translational Genomics Research Institute, the ASU W.P. Carey School of Business Center for Services Leadership, the ASU President’s Club, the ASU Dean’s Council of 100 and the Arthritis Foundation Greater Southwest Chapter. He is a member of the Arizona Educational Foundation’s Advisory Board, Body Positive Advisory Board and the Assistance League Advisory Committee. 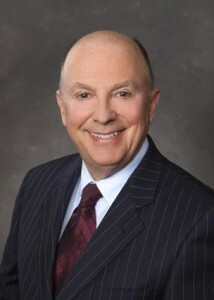 Rich is the immediate past chairman of the board of directors for the Maricopa Community College Foundation. He also serves on the Arizona Health-e Connection Board of Directors. Dinner Co-Chairs—Mark Hiegel and Bettye Jackson Over 500 people attended our third annual tribute dinner on April 17, 2008 at the Arizona Biltmore. The event raised over $136,000 in scholarship funds to support the Maricopa ACE – Achieving a College Education – Programs, Chicanos Por La Causa (CPLC) matching scholarship fund and the general scholarship fund.